This Unit is in the middle of the warehouse complex and would suit a distribution company requiring a small office with large storage requirements. The 5 meter roller door and high ceilings allows for easy access and ability to stack goods to optimise the floor space whilst the 7 Exclusive Car Bays offers plenty of parking for staff and customers. 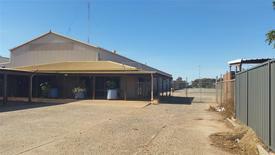 Total Lettable area is 451sqm including warehousing, an upstairs office, toilet and lunch room. Price: $42,900pa plus Outgoings plus GST. Outgoings are approximately $10,900pa plus GST. CALL NOW TO ARRANGE A VIEWING!!! Huge Workshop approx 1900.. Price: $18,700.00 PCM (including..
2,420SQM BRAND NEW INDUST.. Price: Sale: $4,114,000 | Lease:..
Blue Chip Industrial Oppo.. Price: $4,000,000 + GST or $35,0..
1,415SQM OFFICE | FACTORY.. Price: Sale: Contact Agent | Lea..